For a last-minute Valentine treat you can whip up today, this project from our book, Pretty Prudent Home: Your Ultimate Guide to Creating a Beautiful Family Home, is perfect. It looks like a basket of berries fresh from the farm. This recipe is a simple assembly project: Layer three delicious ingredients for a major hit of charm. 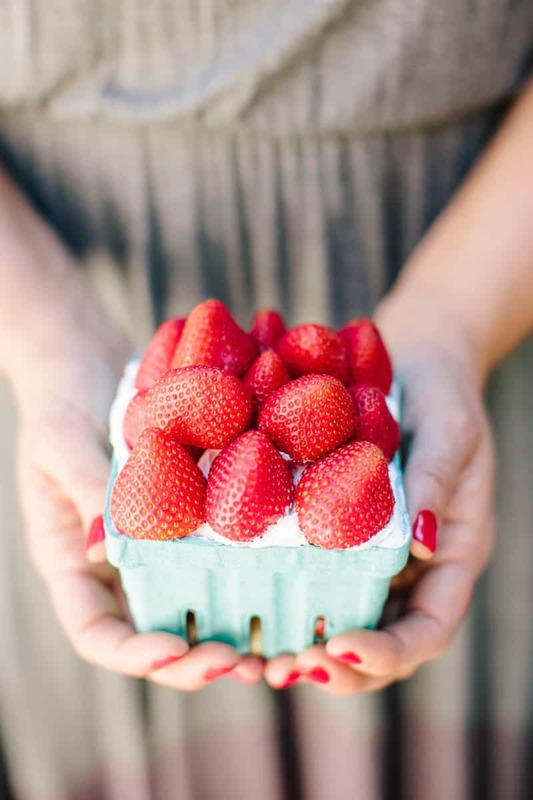 Pick up a strawberry basket from your local craft store, then layer lady fingers, strawberries, and whipped cream. For the top layer of strawberries, slice the tops off and place the strawberries cut-side down on top of the whipped cream. For added fun watch our video on making flavored whipped creams.